Smoothies are often touted as a ‘health food’ and I’d like to cover a few things to help people decide if your smoothies are really good for you or not. Good for you in a sense of achieving your goals and providing adequate nutrition. They are low in fat- This can be true and can be false, it really just depends on the ingredients you use. Low fat also just means low in fat, not necessarily healthy. The use of a high fat yogurt or an avocado in a smoothie can make it creamy which can be more enjoyable for some. Mind your portions according to your goals. I have it on the go as a meal supplement- This can be a great reason to have a smoothie but keep in mind that if you are hungry shortly after having a smoothie and you eat again your meal supplement may not be doing the job you want it to. 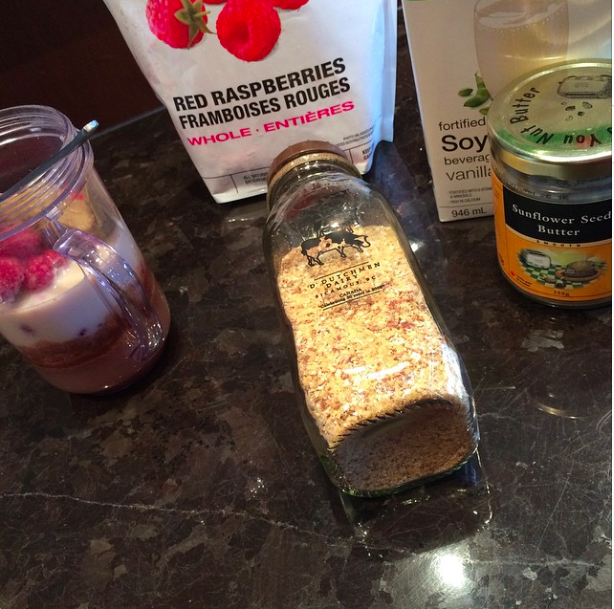 Try ensuring you have protein and fiber in your smoothies (see tips below for examples). 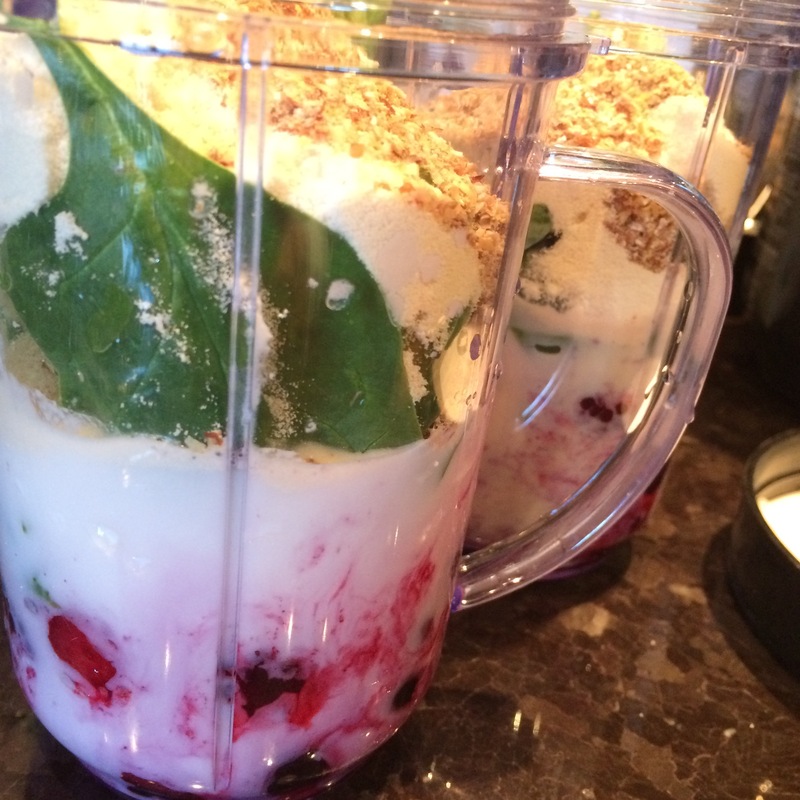 The portion of your smoothie is important too. You can have too much of a good thing (this is geared for people working on weight management) calories aren’t the be all end all* for weight management but they are important, so be aware of how much food is in your smoothie. As for clean smoothies, I think you should wash your fruits and veggies before you blend them. Clean kind of stops there. Choose the fruits or veggies that you enjoy in your smoothies that you can also afford. Don’t feel guilty about buying frozen berries because you read it was on a dirty food list or it isn’t local, they aren’t in season for most people yet. Whole foods and real foods are more trending descriptors that have a catchall definition. I don’t think you want to eat fake food so you will probably be putting in real food anyways! Don’t fear specific foods, enjoy them all and again choose foods you can afford and think you are going to continue eating. Having exotic organic fruits for one week isn’t going to change your life, but incorporating more fruits and vegetables each day that you can afford and you enjoy could change your life. It will help me detox- Nope. Your liver will help you detox. If you normally have a donut and coffee with 3 cream and 3 sugar for breakfast and you switch to a homemade smoothie and a coffee with less sugar I won’t argue that it could be healthier but it isn’t going to detoxify your body, and your body probably isn’t toxic. From here I’ll leave it to my colleague/friend who has written about this many times, Diana. Why recreate the wheel? 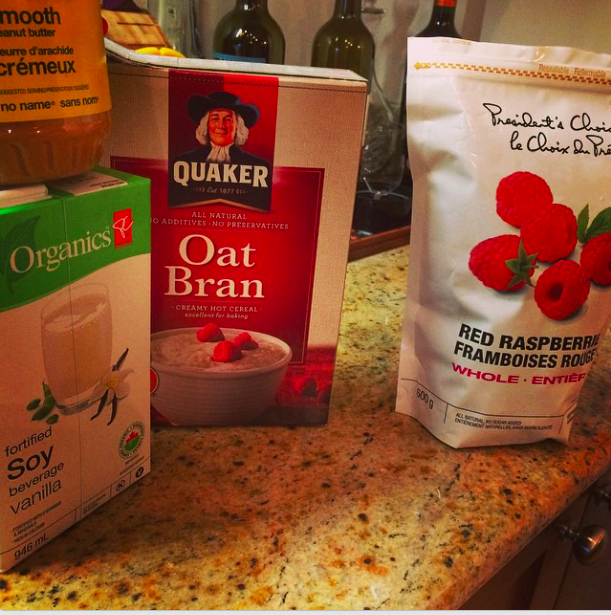 Check out what she has written on detoxing here. In conclusion, the smoothie can be a quick healthy way to get a meal just be mindful of your portion and what you’ve put in it. If you are trying to lose weight you may want to consider using water, milk, a milk alternative or a combination to add liquid to your concoction for blending. You can try using 1/2 cup of milk and 1/2 cup of water to add fewer calories to your shake if you are counting calories as a part of your weight loss regime. Fibre boosting foods- berries, fruits with skin, figs, prunes, oats, wheat germ, flax meal, oat bran, psyllium fiber, nuts, seeds. Check out farmers markets and local grocers for in-season fruits and vegetables to save money and eat local! Smoothies have plenty of liquid and can, therefore, be digested quicker (gravity) than solid foods and leave you feeling hungry. Try to add fiber and protein to your smoothie to help keep you feeling satisfied until your next meal or snack. Blend together and add more water if it isn’t the consistency you like.